In my opinion Donald Trump clearly lost the debate, he literally came across at times as a spoilt brat, even as a cartoon figure whilst Hillary mostly came across as the responsible adult. So it looks like just as I warned was possible that Donald Trump could end up losing the election by failing to stick to a script, instead letting his mouth run rabid. He clearly just cannot control himself for more than a few minutes, and with 2 more debates to go means Hillary definitely has a fighting chance so this election certainly remains a close race right upto election night. 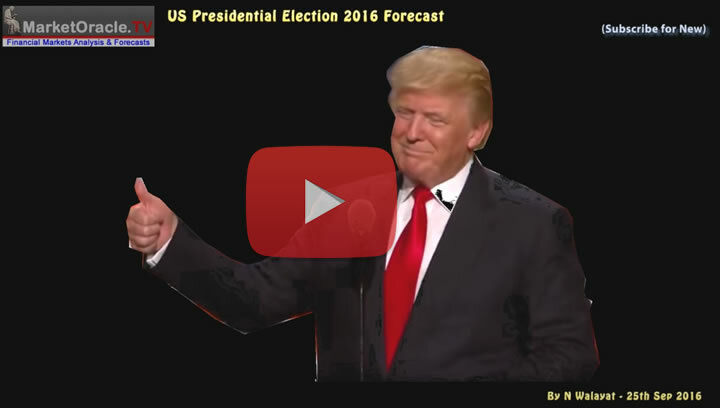 My forecast as illustrated by the following video is that Donald Trump's marginal actual lead (as opposed to the opinion polls) over Hillary Clinton that as long as he is trained by his advisors to control his mouth then he should continue to maintain the lead into election night. Given the tightness of the race, and with the 7 weeks to go then it definitely looks like I will have to come back with an update to my forecast closer to election night. The betting markets also agree that Donald Trump lost the debate as illustrated by Betfair. At the start of the debate at 2am BST the Betfair market was offering 2.88 to back Trump, against Clinton 1.57 for Clinton. Now after the debate, some 2 hours on the odds have shifted in Hillary's favour as Betfair is now offering 3.35 on Trump and1.44 on Hillary. A significant widening which brings to a halt a month long trend that had been moving in Trumps favour. 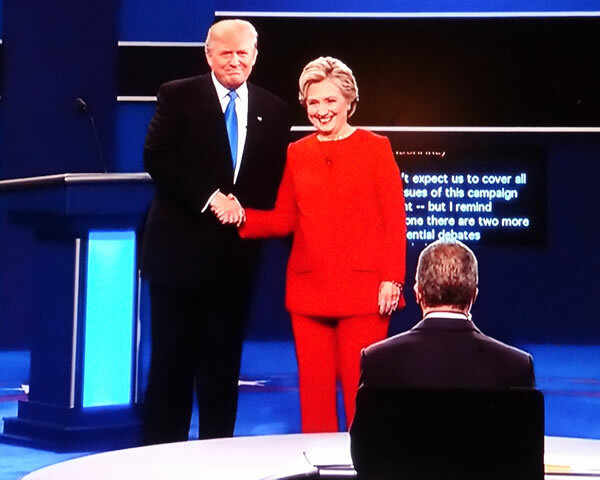 So the effect of the 1st debate is to bring Trumps momentum train to a shuddering halt, and it remains to be seen if Trump can get the momentum going again especially as Hillary could repeat today's damage at the next 2 debates. However, as of today my forecast remains in tact that the most probable outcome is that Trump will win, even though Hillary would make the better President.